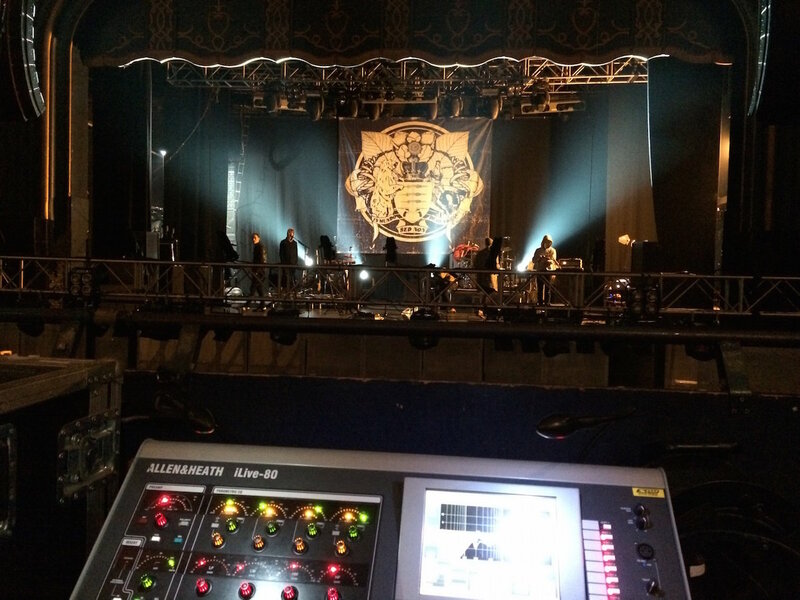 British singer songwriter, King Charles, recently completed a 28 day UK tour carrying an iLive system to manage both FOH and monitors. The compact system comprised an iDR-32 and iDR0 MixRacks, with an iLive-80 surface for FOH, and a laptop and iPad for monitor control. “On a concentrated tour like this with 28 gigs in a row, being self-contained is really important. The fact that iLive is so compact but so powerful is really beneficial,” explains FOH engineer, Jonathan Lewis. “The band is a pretty standard set up of drums, bass, keys, two guitars, lead vocals and three backing vocals. We could have managed just with the iDR-32 but adding the iDR0 means we don’t have to share PFL or scenes, and it gives us another 64 channels to cater for all the in-ear splits,” continues Jonathan. All members apart from the bass player are on in ears monitors. As well as the standard monitor mixes, the engineer also creates several duplicate mixes. The meticulous drummer requires four mixes in total, Charles the lead singer has in ears and a backup sub, and two of the musicians – keys and guitarist – swap instruments back and forth during the set and require duplicate mixes to enable the exchange. “The venues range from 200 to 2000 capacity so space is often a tight squeeze but as I’m using a laptop or iPad instead of a surface I can tuck myself away whilst being free to move close and keep eye contact with the band,” says monitor engineer, Ross Rothero-Bourge. “iLive is so simple to use and set up. We can put the surface out front but keep the mixer on stage with me and just run CAT5 between them,” concludes Ross.